After creating your account you will need to synchronize your PixFort account with your account on Envato Market to verify your purchased licences. 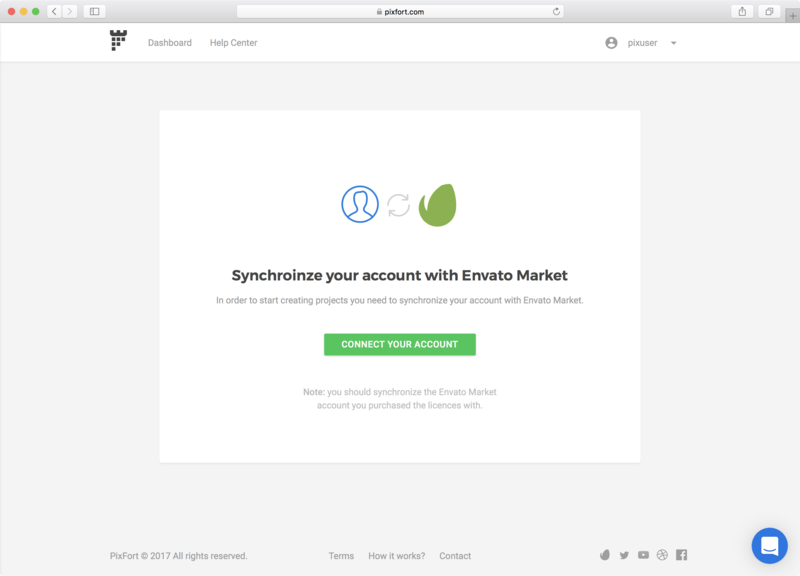 To synchronize your account with Envato Market just click on the green synchronization button that appears in your PixFort account after verifying your email. Note: you should synchronize the Envato account you purchased the licences with.